THE BODIES OF three men have been recovered from a sunken vessel in Co Kerry. Gardaí have said that one man was in his 50s while the other two were in their 30s. 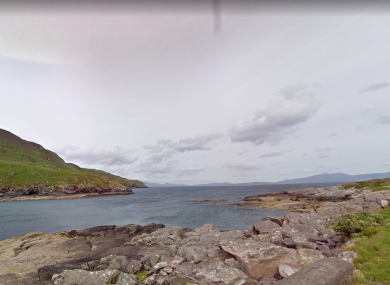 A coast guard spokesperson confirmed that they had received a report earlier that a vessel had sunk close to Coonanna pier, Cahersiveen in South Kerry. Local gardaí and emergency services were alerted to the discovery of a body of a man in the water near an upturned Rigid Inflatable Boat (RIB) at 6.20pm. Coast Guard and the Lifeboat Service attended the scene and a further two bodies were discovered under the boat. The three men, believed to be from eastern Europe, were the only casualties and people aboard the vessel. The bodies of the three men were removed from the scene by the rescue 115 helicopter and taken to University Hospital Kerry where post-mortem examinations will take place. According to a garda spokesperson, it is believed that the men went fishing earlier this morning. Email “Bodies of three men recovered from sunken vessel in Kerry ”. Feedback on “Bodies of three men recovered from sunken vessel in Kerry ”.